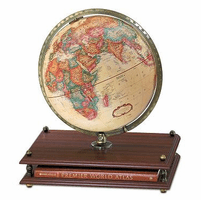 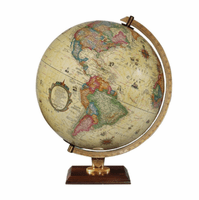 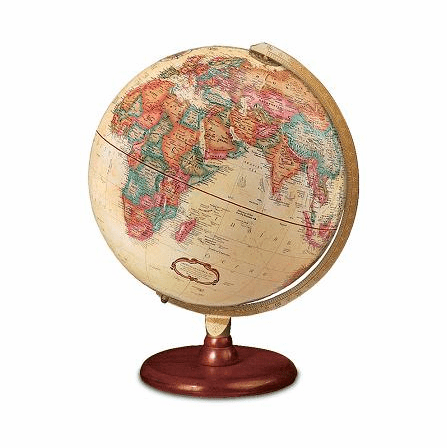 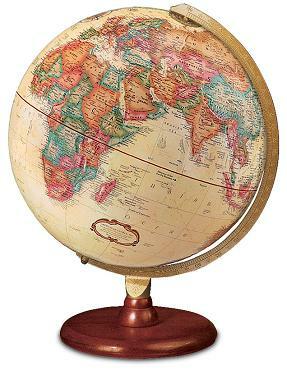 The Piedmont desk globe has Old World charm, with muted colors dilineating countries around the world, set on an antiqued parchment color ocean background. 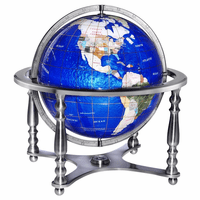 It has a painted die-cast semi-meridian that is attached at the Poles, and is set in a rich mahogany-finished solid wood base. 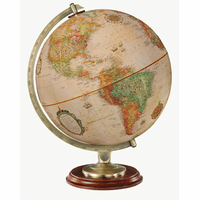 The globe is 12' in diameter, with total dimensions at 13' x 12' x 16', perfectly sized to keep close by at your desk or side table for hours of world exploration!